Goodnight Goon is a parody of one of the best selling books of all time, Goodnight Moon . It’s about a little werewolf who’s ready to sleep in his cozy little tomb except a goon is running amok and causing mischief. Amazon Affiliate Links included for your convenience. It provides many opportunities to practice the /g/ sound. I call the /g/ sound the gargling sound because it is a sound made in the back of your throat. The back of your tongue elevates to reach the back of the soft palate. If you are targeting the /g/ sound with a little one, you may also like my other product, Good Night and Good Morning /g/. Goodnight Goon also includes many rich vocabulary words like parody, petrify, goon, lagoon, screech, tomb, moan, and groan. If a child is already familiar with Goodnight Moon, he or she may naturally realize the similarities and differences. 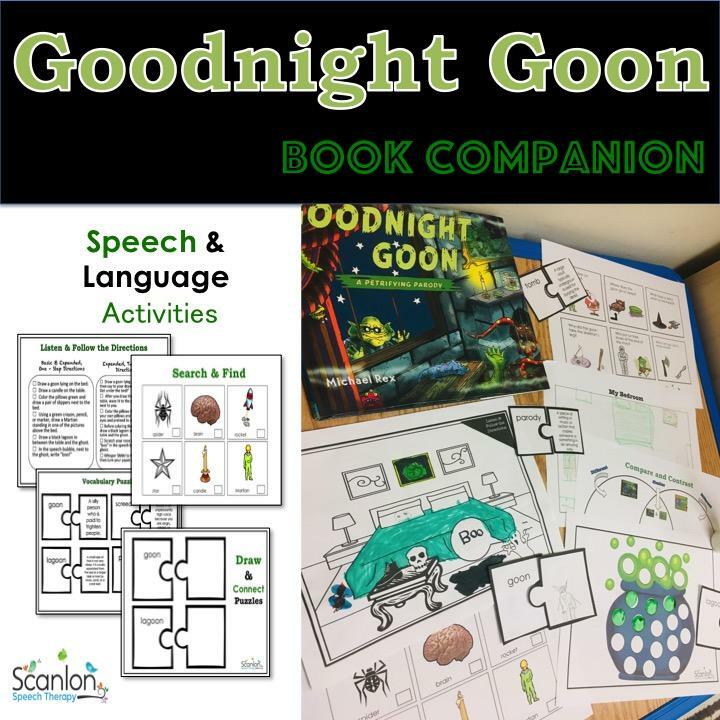 Therefore, reading Goodnight Goon before or after reading Goodnight Moon, provides practice comparing and contrasting the differences and similarities between the books. Comparing and contrasting is an important skill needed for critical thinking. Because I liked Goodnight Goon so much, I made a book companion to specifically target various speech and language skills. 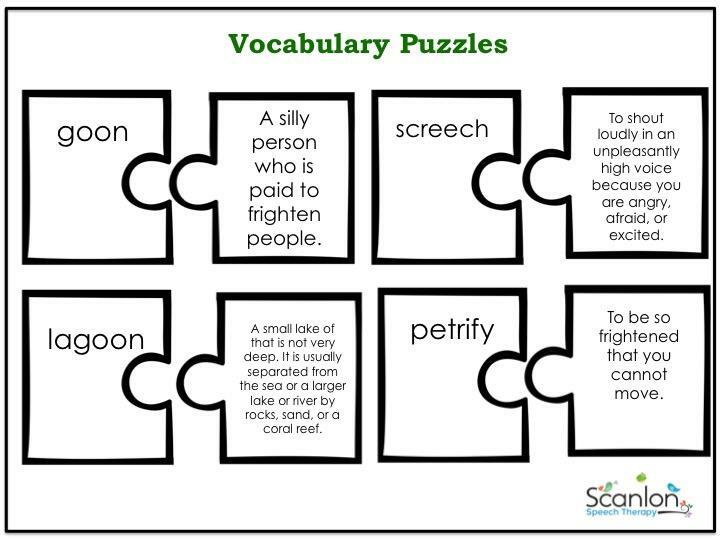 Vocabulary Puzzles – Print, laminate, and carefully cut out puzzles. 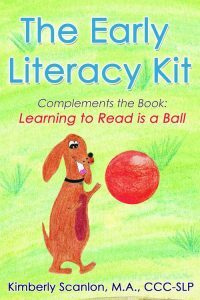 Have your child try to read, or you read the words and definitions, and then have him or her correctly put the puzzles together. 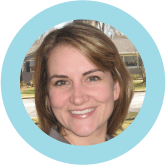 Draw and Connect Puzzles –After introducing your child to the vocabulary using the vocabulary puzzles, have fun by having your child try to depict the meaning of the word by drawing a picture. •First, cut out the puzzle pieces. •Second, ask your child to draw a picture to represent the meaning of the word. Parody is a challenging word to depict (hint, can draw the cover of the Goodnight Goon because it’s a parody of the bestselling children’s book, Goodnight Moon). •Third, have someone else who DID not draw the pictures and, ideally, not see them being drawn, connect the drawings to the word. 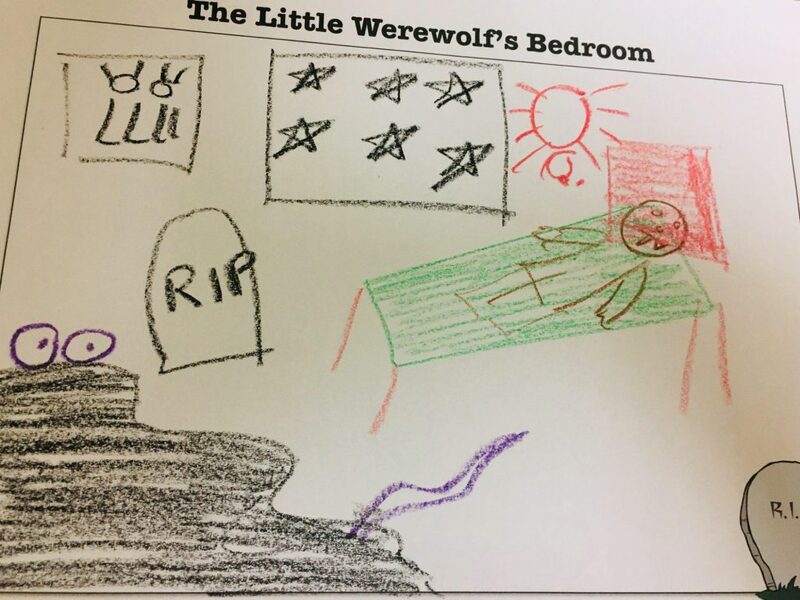 Search & Find Activity – Find the objects in the little werewolf’s room. Many of my clients were mesmerized by all the visually appealing (aka creepy) items in the room. Ask the questions and have the child circle the correct answers. Visuals are provided so non-readers can participate too. Use the Venn Diagrams – to compare the bedrooms and the books Goodnight Goon vs Goodnight Moon. A diagram with blank lines is also included so you can compare/contrast other items (e.g. a witch vs. a goon or a mummy vs. vampire). Listening is a vital part of communication. 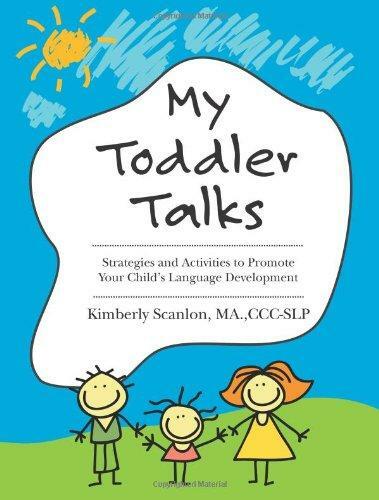 This is an activity that seeks to improve your child’s ability to listen. It is recommended that your child has already read Goodnight Goon. 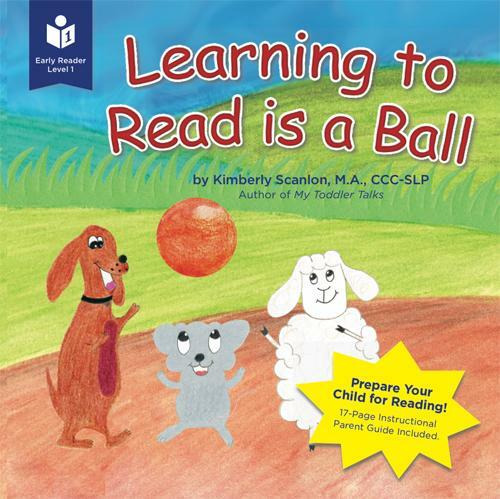 The spoken directions will be related to the book as it is fair for children to have a context to support the following of more complex, multi-step directions. 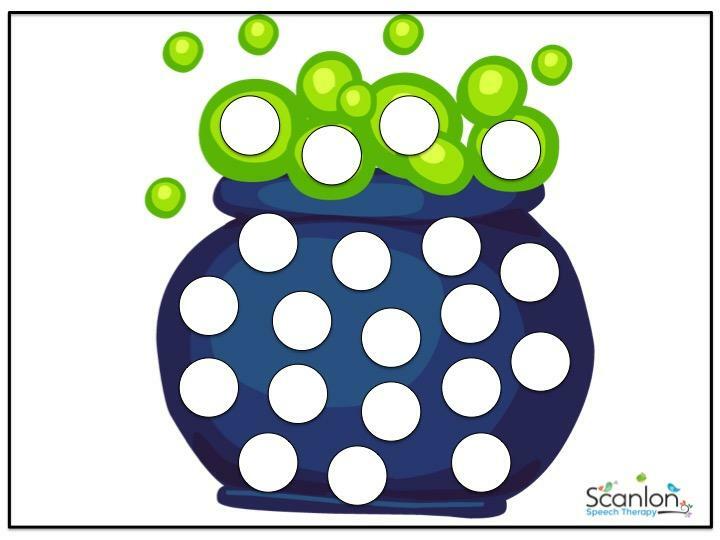 – Have your child say his or her target sound and then use a bingo marker to color each dot. If you purchase my book companion to Goodnight Goon, I hope you like it! Get some black slime and make a pretend black lagoon. Your children/students/clients can put in googly eyes, a fish, and other creepy objects that were found in the book.